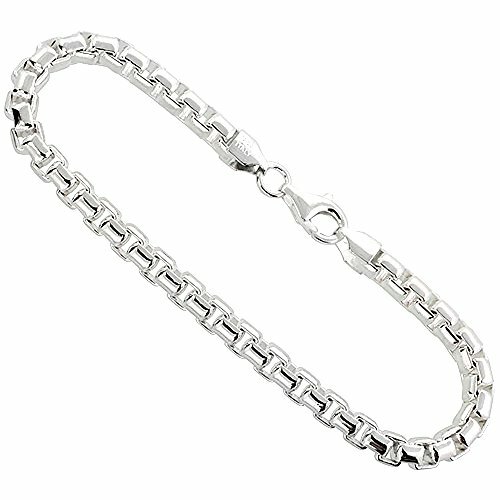 This Very Heavy ROUND BOX Chain is Made in Italy and it is Solid Silver. It has an Excellent Finish and Very Shiny. It is a little over 3/16 inch (5.0mm) Thick. It is Nice and Heavy and Rugged. It is ideal for hanging heavier pendants but also looks great worn as it is. It is completely NICKEL FREE so it's Hypoallergenic and can be Repaired and Polished. Available in bracelets and chain lengths from 16 to 30 inches.